The Deputy Prime Minister of India is a member of the Union Cabinet in the Government of India. Not technically a constitutionaloffice, it seldom carries any specific powers. A deputy prime minister usually also holds a key cabinet portfolio such as home ministeror finance minister. In the parliamentary system of government, the prime minister is treated as the "first among equals" in the cabinet; the position of deputy prime minister is used to bring political stability and strength within a coalition government or in times of national emergency, when a proper chain of command is necessary. 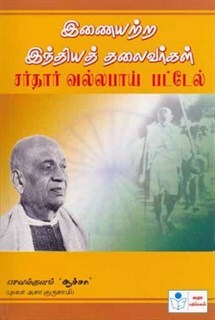 The first Deputy Prime Minister of India was Sardar Vallabhbhai Patel, who was also home minister in Jawaharlal Nehru's cabinet. The office has since been only intermittently occupied. The seventh and last deputy prime minister was L. K. Advani, who took on the role in addition to his home ministership from 2002 to 2004 in Atal Bihari Vajpayee's government. The current government does not have a Deputy Prime Minister.